Establishing joint accounts that are used by both children and parents can seem like the most effective way to handle financial emergencies or to step in if someone needs assistance with their finances as they get older. But this can cause significant estate and tax planning problems and another strategy might be more effective. Parents often consider adding their child to their bank account in case something happens to them and the primarily goal of a parent who intends to do this is to give children access to finances during an emergency. 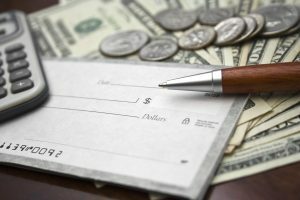 Many parents, however, need to know that simply making the child a joint owner of a bank account can have significant unintended consequences and can be especially problematic during a family crisis. Many banks set up these joint accounts as joint with rights of survivorship. This means that upon the death of either one of the owners, the assets automatically transfer to the surviving owner. This can create a couple of different problems. First of all, if the intent was for the assets still inside the account need to be distributed via a will’s terms, this will not happen. Furthermore, adding anyone other than a spouse could lead to a federal gift tax issue and if a parent adds a child to a major savings accounts and the child passes away prior to the parent, then half of that account value could be incorporated into the child’s estate for estate inheritance tax purposes. In certain locations around the United States, this could trigger significant estate taxes paid at the state level and should therefore always be avoided whenever possible. Scheduling a consultation with an experienced estate planning professional can help open your eye to the various challenges associated with using a joint account and determining whether other vehicles such as a trust might be more appropriate for your individual needs.